P.S. You can vote for this in the monthly psx-scene contest! You can also vote for Hero City 2! This update adds a track editor, a title/menu screen, accurate collision detection with the environment and the option to reset the best time (since you may be racing on custom tracks that are longer than the one you set the record with). In the editor you use the directional pad to move around and press the 1 and 2 buttons (on Wii) or X and O buttons (on PS3) to change the type and rotation of the selected tile. 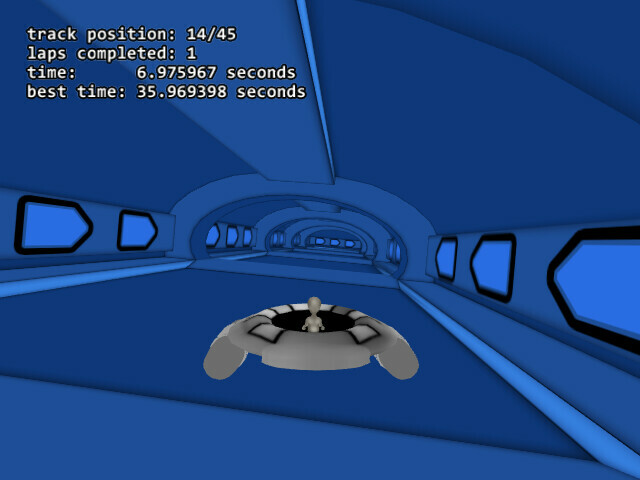 Pressing Plus or Minus (on Wii) or Start (on PS3) will save the track and return you to the main menu. When I get the time I’ll be fixing up the UI and probably editing the track tile meshes so that you don’t get completely stopped when you drive into their ridges. 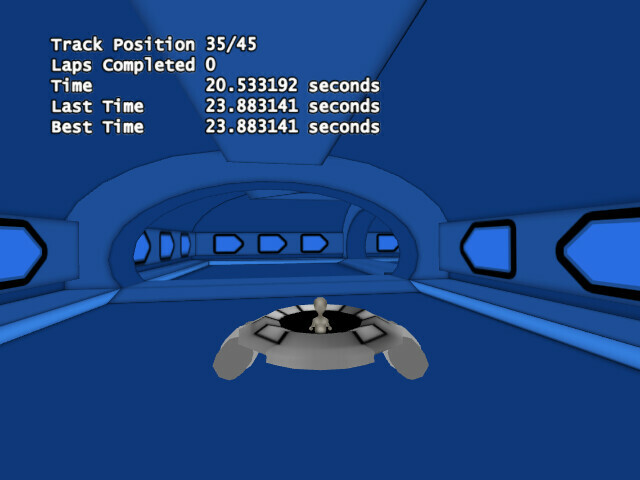 I’m also planning to add online scoreboards and track sharing to the Wii version. This small update corrects the obvious rendering problems that had previously plagued the PS3 version of UFO Racer. Polygons are no longer culled for having a single vertex behind the camera. Textures are now perspective correct and use mippmapping. 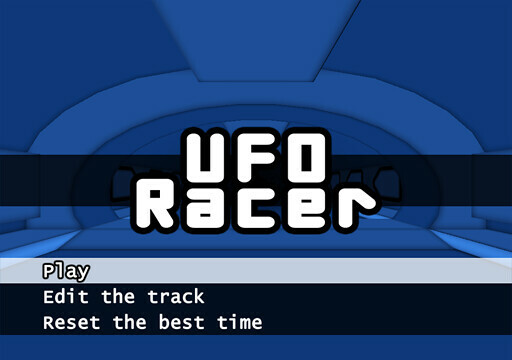 The completely remade 3D edition of UFO Racer is finally on Wii! The Wii port even features motion controls like it did in the 2D version that preceded this. Along with porting it I’ve made a few improvements. The high score is saved every time you finish a lap, there is now on screen text telling you what your time was from the previous lap, there have been slight changes to the track geometry and texture, the track is now loaded from an external file (it was previously hard coded into the game) and the font used for on screen text has also changed. It’s a minor update for PS3 but there will be more to come in the future. I’m planning to add a level editor. P.S. You can vote for this in the psx-scene monthly contest here. But the month is almost over so if you want to give it your vote then go do it now!